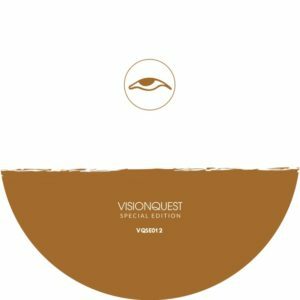 Three years incubation; Visionquest compadre Antonio Thagma returns to follow up his evergreen ‘Leather Soul’ EP. Taking off where his molten constructions left us in 2015, it’s another kinetic experience where the groove is full, and only, focus… And the one and only Ricardo Villalobos is on hand for a genuinely beautiful remix. ‘Sferikum’ instantly locks you in: Upbeat with a subtle strut and a maze of psychedelic textures, this one is all about the rolling subs that underpin every element, bringing everything together with fluid motion. It’s backed by the broken electroid charm of ‘Everything I Wanted’. Spacious, pensive and laced with an array of dizzying details from sly acid sinews to crafty drum variations by way of a sudden heart-stopping breakdown. Truly, this lives up to its name.